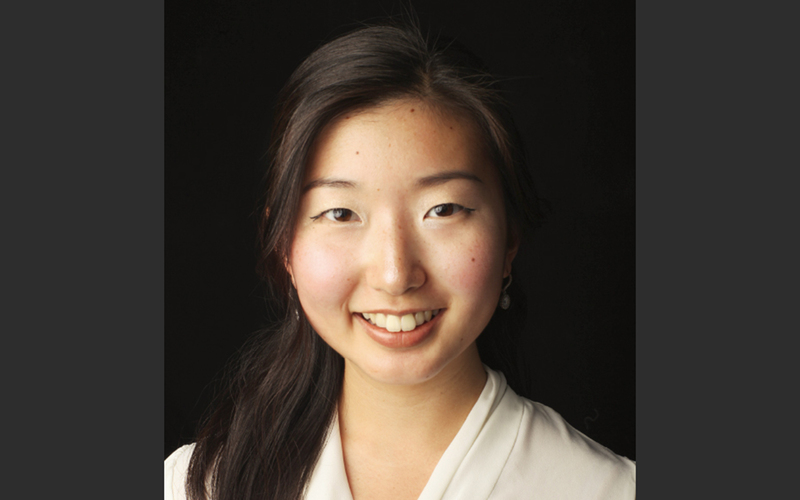 Grace Kim ’16 pursued her college education with zeal. 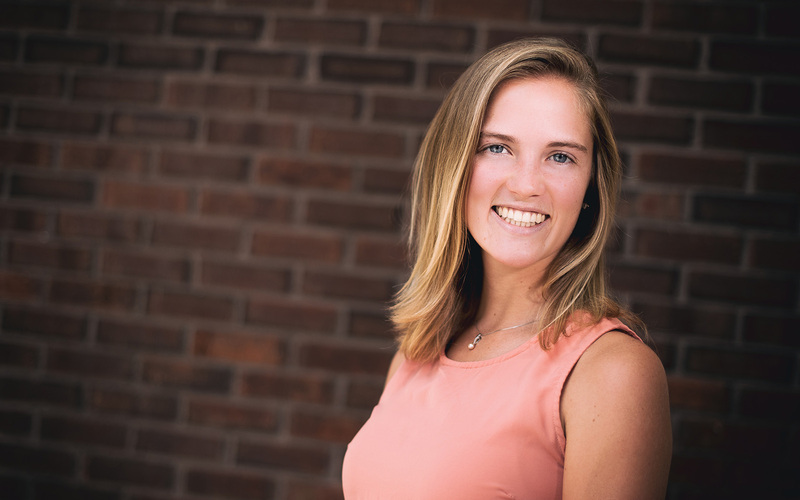 An accounting honors student, she also minored in Spanish and art history, lived abroad with a Spanish family for a month, and worked at the Benton Museum of Art on campus. “I figured I’m paying for a great college education, I may as well take every opportunity I can and enjoy it,” she said. Vote for UConn by 11/21! Time is running out! Your vote can send our team to another national championship! The UConn Trailblazers—a team of five talented accounting students—is hoping to compete in the prestigious PricewaterhouseCoopers (PwC) Challenge national case competition in New York in January. To get there, the team must defeat Villanova, Texas, Arizona and Gonzaga by getting the most votes on Facebook. Only the top vote-getter may attend. Trailblazer team members include Katie Pontoniec, Lauren Consoli, Jack Murphy, Giovanni Ninivaggi and Daniel Francoeur. You can click on the link below to vote. Please vote once a day through Friday to help our team. Thank you! 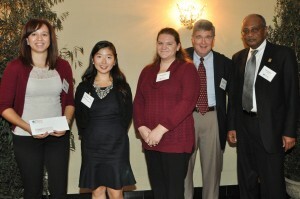 CTCPA Educational Trust Fund Trustee Katherine McNair, CPA (left) presents grants to the University of Connecticut Accounting Department, Accounting Society, and Beta Alpha Psi chapter. Accepting the awards are University of Connecticut representatives (from left) students Grace Kim, Sarah Levis, Instructor-In-Residence and Assistant Department Head for Undergraduate Programs David Papandria, and Professor and Accounting Department Head Dr. Mohamed Hussein. 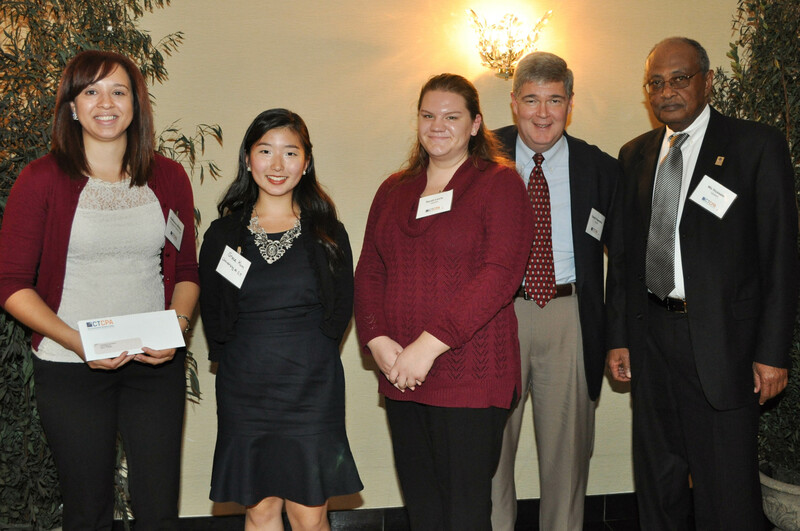 Representatives of the Educational Trust Fund of the Connecticut Society of Certified Public Accountants (CTCPA) recently presented grants to the University of Connecticut Accounting Department, Accounting Society, and Beta Alpha Psi chapter. These awards were given during an annual joint dinner meeting of the CTCPA Educational Trust Fund and the CTCPA Student Outreach and Career Awareness Committee held recently at Cascade in Hamden. The Educational Trust Fund exists to help tomorrow’s CPAs today. 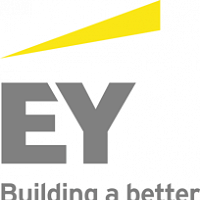 It does so by providing financial support directly to students, accounting departments, and accounting clubs at Connecticut colleges and universities recognized by the Connecticut State Board of Accountancy. The Connecticut Society of CPAs is celebrating more than 100 years of service to membership and community alike. CTCPA has a membership of almost 6,000 individuals in public practice, business and industry, government, and education. Its function is to advocate on behalf of the accounting profession, foster a professional community among CPAs, and provide continuing education opportunities as well as a comprehensive peer review program and a variety of membership services for CPAs in Connecticut. 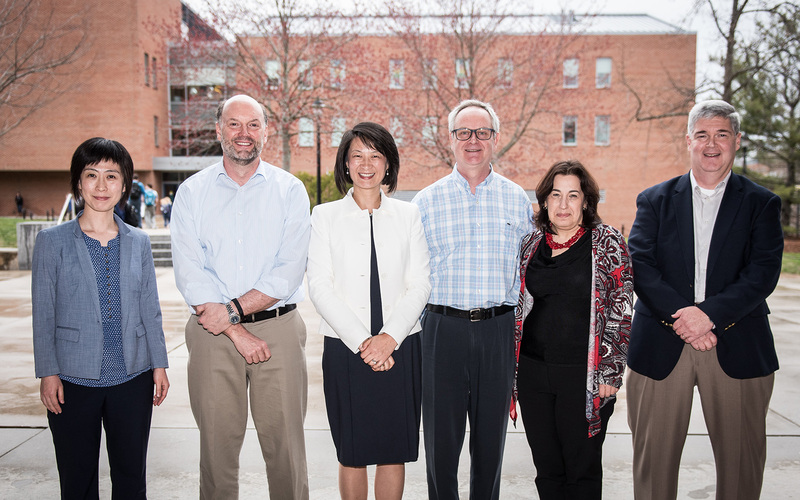 At the beginning of this month, the Teaching and Research Committee met and evaluated nominations for the annual Faculty Awards. A total of nine winners, a runner up, and two honorable mentions were awarded.